I’ve recently submitted my Open University MA dissertation, which focused on the sensory experience of urban Rome’s working poor. I can’t say too much about that at the minute as it’s currently being assessed (keep your fingers crossed for me). Sensory studies was one of the topics that really stood out for me on the MA when I first encountered it almost a year ago. 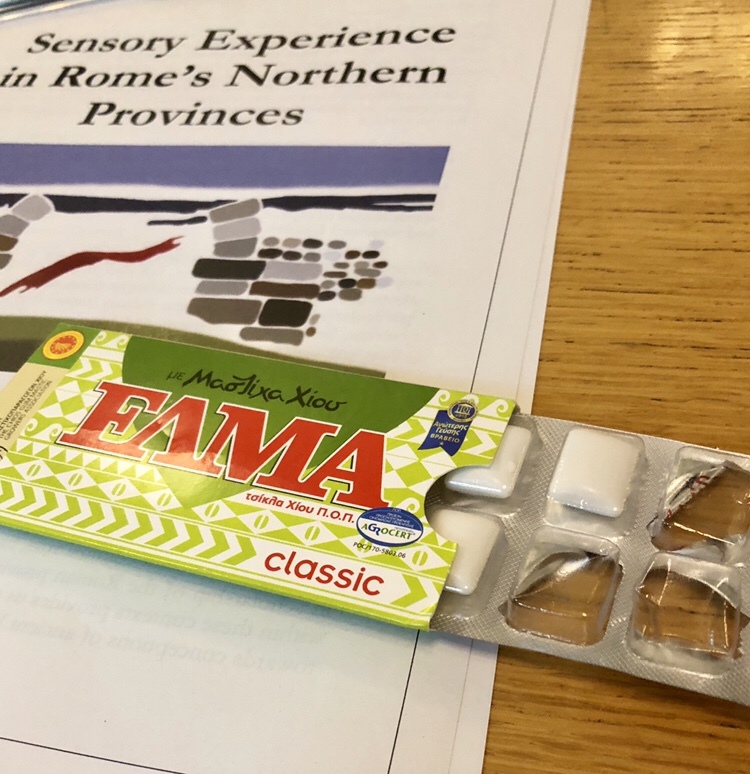 So, obviously, I jumped at the chance to attend this conference to hear about how the senses are helping researchers understand the world of the Roman northern provinces. I’ve made a Twitter collection if you would like to see the online conversation from the day itself. Both Thomas Derrick from the University of Leicester and Andrew Gardner from UCL focused on what sensory approaches, which have their roots in phenomenology, have to offer the Classical researcher. I’m a fan of any methodological approach that enables qualitative depth and sensory approaches to analysis certainly do that. They’re not without their challenges though, as became clear when conference attendees questioned the universality of human experience, and the ability to fully put ourselves in the metaphorical shoes of those living in the past. While we can say that the Roman world was likely smellier, it is likely that a degree of habituation would have occurred, and people may not have noticed just how bad their environment was. I had previously written on Thomas’ research on Vindolanda’s smellscape, so it was great to hear that come to life more. I last visited that site on a July day with horizontal rain, so it’s not difficult to see that this would have been a challenging sensory environment for those used to warmer climes. Having written about darkness in the Roman insula, I wasn’t quite ready to agree with Andrew’s premise that we shouldn’t worry too much about ill-lit spaces. The University of Kent’s Patty Baker had us all touching, feeling and even wearing crowns made from raffia and flowers to reference ancient floral coronas. This took me back to childhood daisy chain making experiences, while the conversations on Twitter about the sense of time passing, and how flowers would have decayed with their wearing, show that sensory experiences were far from static. Meanings may very well have evolved over time. For me, the conference was particularly marked by that mix of the practical and the theoretical. The Roman sensorium came further to life with the opportunity to smell perfume (thanks to Thomas), garum and posca and taste mastic thanks to author Caroline Laurence, who discussed how sensory experiences bring her novels to life. Others, including my MA Colleague Colin, experienced a strigil first hand. I’ve often thought of myself as having a particularly poor sense of smell, so that may explain why I didn’t really get as much of a new sensation from the mastic chewing gum as others seemed to experience. I had the same experience at the ongoing Roman Dead exhibition at the Museum of London, which gives the opportunity to smell this. As for garum, well its pungency definitely wasn’t for me and proved that my sinuses are in perfect working order! Having had the London Mithraeum on my London wish list for a while, it was fascinating to hear from MOLA’s Sophie Jackson about the decisions made on the development of that space, including the choice of sensory experiences. I visited just a few days after the conference, and there was a spine-tingling use of sound and light to bring that experience to life (you can read my blog post here). There, decisions were made not to evoke the smellscape, which would have been a heady mix of scents from men in a confined space, mingled with pine and chickens (from live to dying to cooked). Like Newcastle University’s Nicky Garland’s talk about Roman Arbeia, it was interesting to hear what museum designers choose not to detail in their reconstructions. Having been a digital comms professional in my daily working life, I was particularly interested in how Nicky had used the Rescaper app to map his journeys across the site, showing how this is a field with much scope for innovation and development. It will be interesting to see how it develops and whether as researchers we can get past the visual and the spoken word in the way that sensory studies challenge us to. Reblogged this on Minerva's pencil case. How very interesting, although I had to read it twice to fully understand it. What a difficult subject you chose for your MA! Fingers crossed that internal and external tutors liked it but I’m sure you’ll do fine.